Melbourne-based Milligram Studio have collaborated with One Design Office (ODO) on a collection of lighting that explores both form and shape. FORMevokes a sense of playfulness thanks to the juxtaposition of primary shapes. 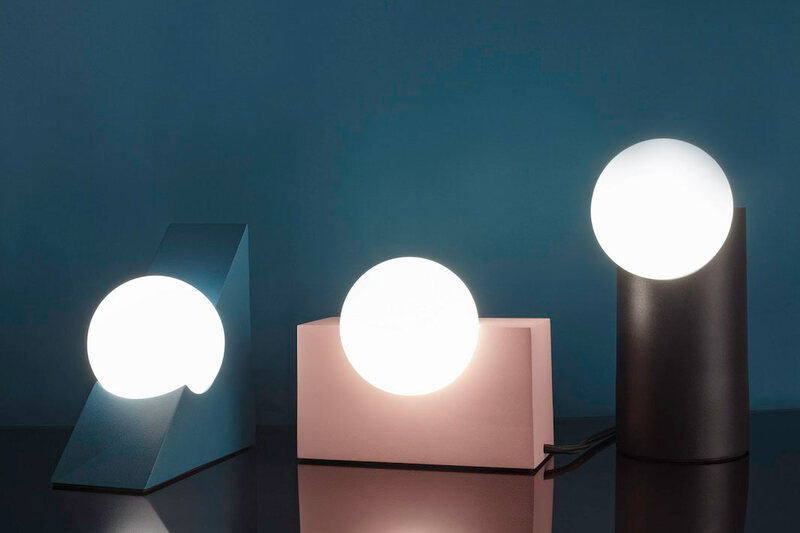 Smaller spherical globes rest within carved out notches on the geometric bases which pop in four matte colors – black, white, pink, and teal. Available in three shapes – cylinder, rectangle, and triangle – the FORM lamps can be used solo or arranged as a group to create a modern yet timeless arrangement.